As a frequent hiker constantly on the lookout for unspoiled landscapes, I often wonder if people get sick and tired of the usual spots when hiking in Europe. The internet is littered with spots and recommendations of the best day hikes, the offbeat paths to venture in Europe, which are a regurgitation of the best places to see in the Alps in France and Switzerland, but places like Slovenia are often overlooked. It may be a blessing as places like this are devoid of the mass influx of tourists, and in exchange we find the savvy, and earthy travelers who appreciate nature and don’t mind slowing down time to have a conversation. And Slovenia was exactly that. The little country nestled in between the South of Austria and and East of Italy has the best day hikes, and quite possibly some of the best hiking spots in Europe. There are over 9,000 km of marked mountain trails and more than 181 mountain huts, shelters and bivouacs that are open for hikers. There may be views to die for in Italy and Austria, but little is known about the picturesque meadows and wildflowers in Slovenia. Most people would head for the Austrian Alps and the Dolomites in Italy, but very few pay heed to the 321 lakes, day-hikes and multi-day treks in Slovenia. Not forgetting that Slovenia is the third most forested country in Europe and the top greenest country in the world. Here’s what Slovenia has to offer and why I think these are some of the best day-hikes and best hiking in Europe that you can prepare yourself for, if you have got limited time and want to unwind amidst the Slovenian mountains. To get to the hike, I was fortunate to be with my hosts, Tomaz and Modja who drove me and a Hungarian girl to Kal-Koritnica where we turned into Lepana Valley. We drove around for 20 minutes until we reached the carpark. The first part of the hike was not kind on our legs as we had to hike craggy paths with some strenuous switchbacks. These maneuverings of the track also brought into the view the opening of the Krnsko Jezero Lake. Not an over saturated photo. It was unbelievably green. The mountains came alive and stood out sharply with a bedrock of mountain flowers. The lake is surrounded by colourful poppies, including several endangered species such as the yellow Kerner Alpine poppy. We stood quietly taking in the silence of the surroundings. As we nibbled on our chocolates and cheese and gazed at the emerald green waters, I wondered if I was ever able to convey an adequate picture of this region. No matter how often we saw the sights from higher ground, the stark contrast between the mountains and the green waters were a sight to behold. Sounds absurd for a mountain only 1,653m tall Svinjak to be tagged as the Matterhorn of Slovenia. However, true to its name, Svinjak, the name of the mountain is derived from *Svitnjak 'shining one' because it is illuminated by the rising sun when viewed from Bovec. To start climbing this, you would need to start from Kal-Koritnica village at 470 m. The great thing about climbing Svinjak is that it is walking distance from Bovec, and it is just above the confluence of rivers Soča and Koritnica. I did not get a chance to summit Svinjak because of a sudden bout of illness but I have been told that the trail mainly runs through the woods, with a slight scramble. But once you reach the top, the path opens up into a stunning view of the Bovec valley and blue Soca waters. You’ll be able to reach the top just under 3 hours, and I am told the views are well worth the steep climb and effort. Along the way, you’ll find that Slovenia was saddled between an interesting part of history during the World War I. Above the Kal-Koritnica village, there’s a majestic fort above the Koritnica gorge called the Kluže fortress, It served as an important monument to the defence against Turkish invasions, Napoleon's army and attacks during World War I. The hike combined with the splendid views of the Julian range and history of the fort makes it an interesting visit. You may just find yourself admiring the remnants of the past and wondering how a peaceful place like that can be heavily bombarded by the Italian artillery troops some 100 years ago. When I had extra time in my hands in Slovenia, it was always nice to start the day with a great day hike in the morning and relax in the afternoon by the lakes and relish on Slovenian supermarket goodies. This was essentially my ritual for the two weeks that I had spent in Slovenia. The best part of the hike was when I ventured solo to visit Lake Bohinj (one that stole my breath away) and visit hikes in this part of the valley. A little bit of history: Bohinj was the most important centre of mining, ironworks and iron foundries in the Julian Alps region and had plenty of interesting sights along the way which was sort of impossible to finish in a day. 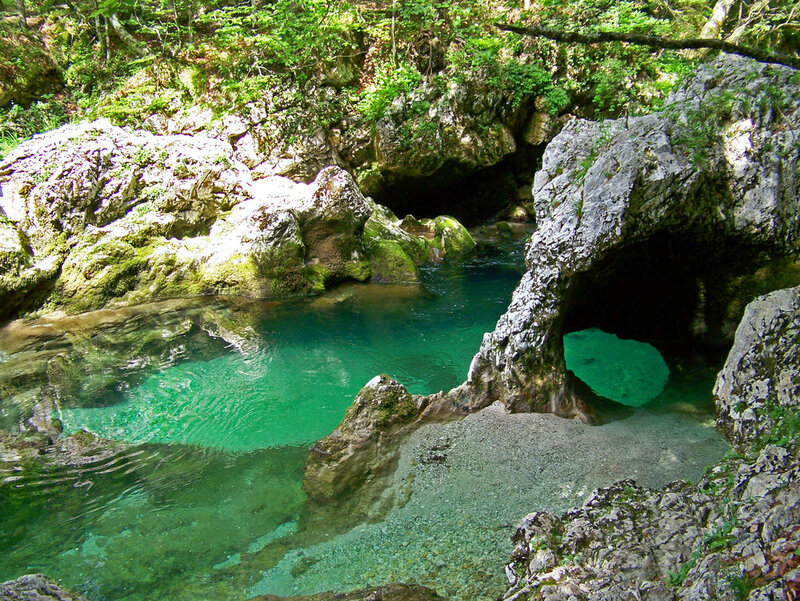 The Mostnica Gorge and the Voje Valley are among the most beautiful and popular natural sights in Bohinj. They offer views of crystal clear pools and boldly water-shaped rocks, as well as diverse flora and fauna and a cultural landscape that has been nurtured by the people throughout the centuries. 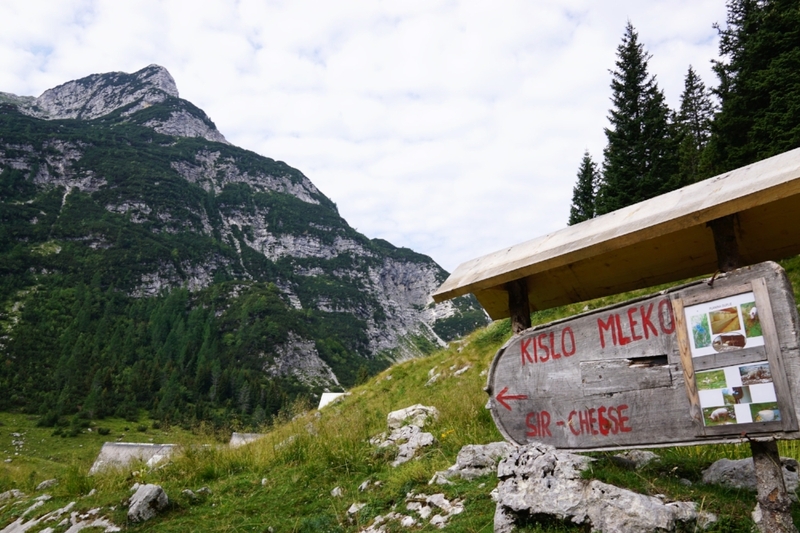 This was also the entry point to the Triglav national park and the start of the climb for the highest mountain in Slovenia, which could be done in 10-12 hours but I decided to visit Voje Valley and the Mostnica Gorge. The 21-metre high waterfall is an attraction on its own situated above the Voje pasture. I was amazed how the gorge was formed. Apparently, the formation of the approximately 2km long gorge is partly connected to the tectonic sinking of the main Bohinj valley. And to think that this gorge was only a slice of Slovenia’s beauty was unsurprising. I ventured further and continued my hike until I reached the grassland of Planina Voje which is the open middle part of the Mostnica valley, at an altitude of just slightly over 700m. The surface was covered with ground glacial moraine, and towards the south the pasture is closed by the terminal moraine dam. The experience of walking through the valley was a meditative one, where there are endless green meadows and captivating mountain views. You just end up meeting people, folks from Romania and other European counterparts hiking this part of Slovenia and wondering what else lies in small countries like this where we don’t know much of. It is almost impossible to cover the length of wonderful hikes in Slovenia in one post. There’s numerous hikes that offer the panoramic views, picturesque pastures, sharp rock ridges and shiny lakes and some of it comes at a price: a full-day hiking. For instance, there’s the Triglav Valley of The Seven Lakes which covers approximately 26km and will take 9 to 11 hours. It takes you heart into the Julian Alps. The highest lake is located at 1993m and it is named Lake under Vršac. This is mainly frozen during most of the year and the temperature varies compared to the lowest lake, located at the height of 1319m, which is called the Black Lake. I am told that it can be quite scary to be caught trekking the lakes during rainy seasons. Slovenia is one of the countries with the highest lightning density strikes in Europe and it almost disastrous to be stuck in a valley with several lakes. But that doesn’t stop Slovenians and travelers from hiking in Slovenia. You should know that hiking is the national pastime in Slovenia and for good reason. Eventhough its peaks do not go to such towering heights and ranges in neighboring Italy and Austria and nearby Switzerland and Germany, most experienced mountaineers will tell you that Slovenia is a varied and brings a different kind of experience when hiking through the small, wooded hills.